Jackie wrote this about her photo: There's nothing like hanging out in zero gravity with another drum corps alum! 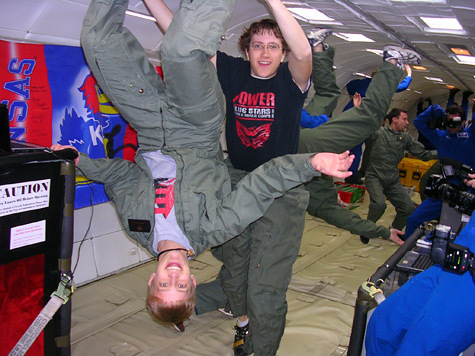 Joe O'Rourke (Blue Stars, 2007) is holding my legs as we are both floating in zero gravity onboard G-Force One. Both Joe and I were on teams from our respective universities that were testing research experiments which required a microgravity environment through NASA's Reduced Gravity Student Flight Opportunities Program. I aged out as a member of the Colts in 2007. 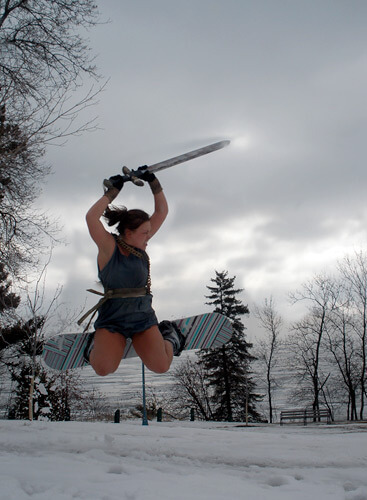 Sarah, who titled this wicked action shot "Snowboarding Spartacus Style," wrote: This photo, taken in Leif Erickson Park, overlooks Lake Superior in Duluth, Minn. After a nice long winter of snowboarding, the best way to say adieu to winter and welcome in spring break was to put on the full color guard uniform one last time. The sword, used in the 2008 Phantom Regiment show, was great to hit jumps with. However, spring break in the northland can get pretty cold when only wearing a skirt! 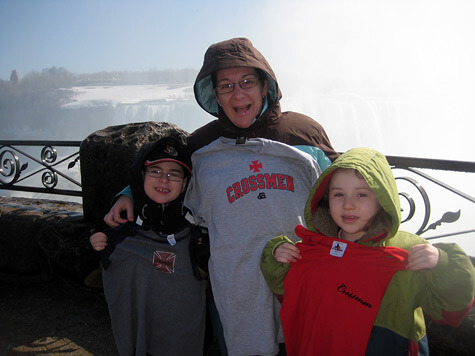 Maureen wrote about her picturesque shot: My family and I were visiting Niagara Falls this spring, and as a former member of the Crossmen, I brought T-shirts so my children and I could support our drum corps in front of such an amazing sight. I remember having a free day with the corps at the falls when I was a marching member, and it was great to bring my children on this adventure. Oh yes, due to colder temperatures, we had to hold up our shirts as if is still March in Canada! 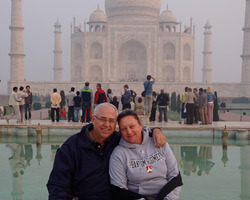 Phil and Debra McArthur Posing in front of the Taj Mahal in Agra, India. The Maciejewski Family Sightseeing in Paris, France. 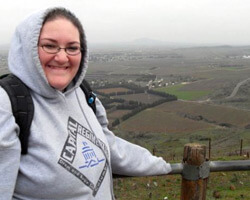 Nikki Kogan Trekking all the way to the Golan Heights on the borders of Israel and Syria. 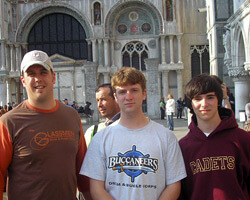 Steve Yoder Paying homage to composer Giovanni Gabrieli at St. Mark's Basilica in Venice, Italy. 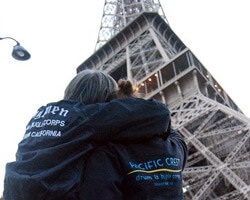 View all submissions in this DCI.org photo gallery.